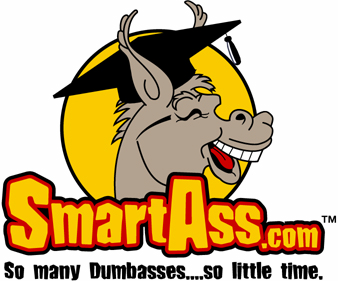 SmartAss.Com is a premium domain name in search of it’s proper venue. We think it makes the perfect Search Engine. We also truly believe SmartAss deserves to be in the same company as such well known internet Brands as Google, Yahoo, Ebay, Facebook and Amazon. Microsoft has spent over $100 million dollars in an effort to make you recall the name Bing…we believe they could have spent 1/5 of that amount with a name like SmartAss and gotten much better results. But hey .. Bill never consulted us and besides what’s he gonna do with a measily $80 million dollars change anyway. So … while we wait for the major players to wake up and smell the roses, we continue to march onward and upward. As Buzz Lightyear would say ..”To Infinity and beyond”. Remember …your help is crucial to this effort ..so please make SmartAss your Search Engine of choice, sign up for a smartass email address, and tell your friends about us. You can further support us by registering and transferring your domain names to www.smartassdomains.com With your help who knows what we can accomplish!!!! See you at the top. Other Logos that we have used in the past …..